Florida’s west coast is famous for cooler weather and world-class sunsets this time of year, making it the perfect setting for a holiday in the sun. Award-winning St. Pete Beach is an especially enticing location to ditch the colder weather, as it’s been named one of TripAdvisor’s Top 10 Beaches in the U.S. for the last 5 years and counting. Located right on St. Pete Beach, TradeWinds Island Resorts plays host to plenty of action-packed celebrations. Discover all of the excitement taking place this season! 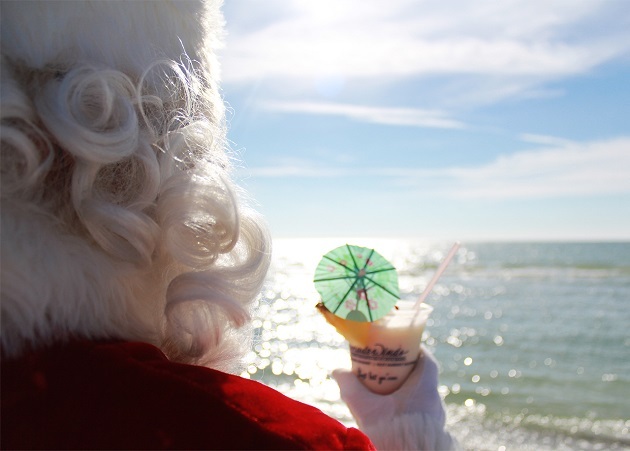 You don’t have to just dream about a white Christmas at TradeWinds, substitute sand for snow and get ready to Just Let Go! Guests can enjoy a wide array of activities to get in the Christmas spirit like ornament decorating or mason jar snow globes. Take in a Christmas flick from the comfort of a heated pool with a dive-in movie. Who knows, the big guy in red may even appear in person to spread a little holiday cheer! The highlight of any Christmas stay is the incredible Christmas Buffet held annually in the Grand Palm Colonnade and Ballroom. Enjoy a brunch of delicious seafood items like gulf shrimp, crab claws, black mussels, poached salmon and more. Customize your omelet or French toast with plenty of tasty toppings or dig into luxurious protein with a full carvery station. It wouldn’t be Christmas without plenty of sweets, either and we’ve got the dessert bar to prove it. Load your plate with pumpkin cheesecake, caramel apple pie, red current torte, cheesecakes, assorted pastries and a chocolate fountain! Don’t worry about over-indulging, you have the whole afternoon to sleep away in a hammock or beachfront cabana! 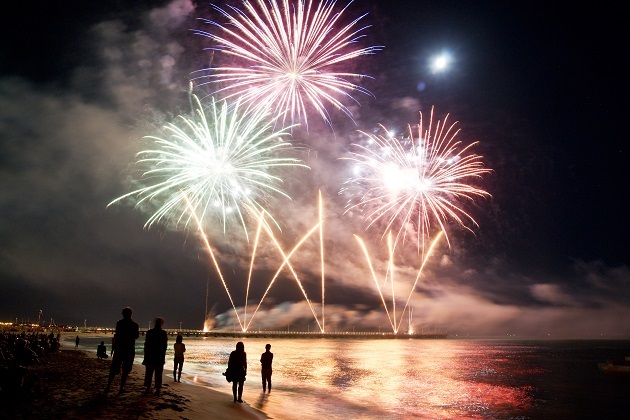 Toast by the Coast two night stay packages are available at TradeWinds Island Resorts and include discounted rates and two tickets to the big bash. Despite all that’s happening just a short drive west, you don’t need a special occasion to get away to St. Pete Beach. Fall into a sun-sational stay all season long! Florida residents can coast into even more savings at TradeWinds Island Resorts now until December 26, with a special offer just for them. Enjoy delicious dining experiences at fan favorite restaurants like RumFish Grill® and Palm Court Grill. Go get out there on a parasail or recreational rentals like paddleboards. These discounted coupons and more are included in the Florida Resident coupon pack worth more than $500 in incredible resort activities and experiences. Florida residents get the best savings on their stay too, with 13% off already discounted room rates. Visit JustLetGo.com for more information on all of these events, celebrations, and offers.